Cy Sadaka opened up King Crab House about forty years ago in Chicago in the heart of Lincoln Park. Since then, he has made a name for himself in the city's seafood industry and created a reputation for having the best in the business! Cy’s seafood orders come in fresh to the restaurant every day, ensuring the best quality meal at a lower price for everyone that walks through the door! The new King Crab House is nestled in a quiet and unassuming spot down the street from the likes of Alinea, Balena and the bustling North and Clybourn intersections. It is appropriately surrounded by family homes as the place itself feels like eating in your family’s dining room. Upon entering, guests are greeted with the warm smiles of Cy and his sister, Mitra, giving the feel of seeing family on Thanksgiving. After being seated, guests are walked through the vast seafood menu and advised on what drinks go best with what dish. 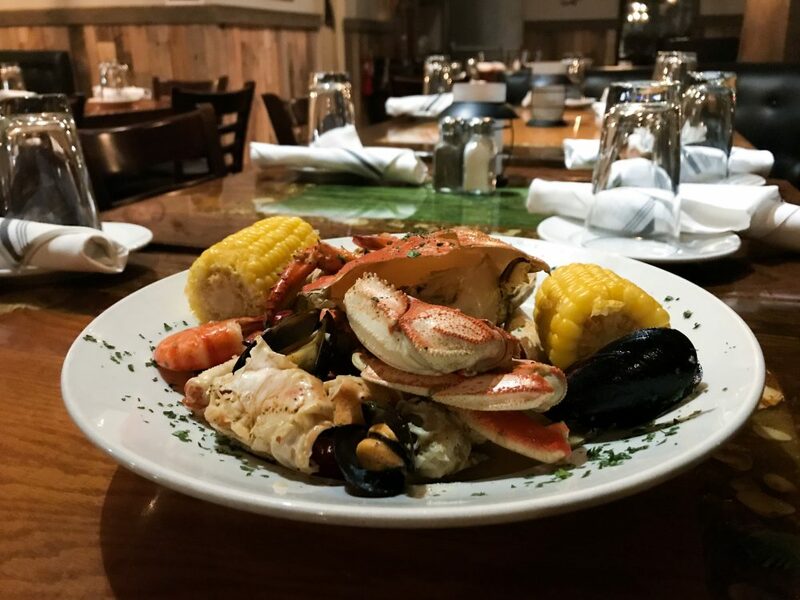 Whether you order the crab leg options or the seafood boil, the family at King Crab House makes sure you know how to shuck or crack shells and get the most meat out of your meal. 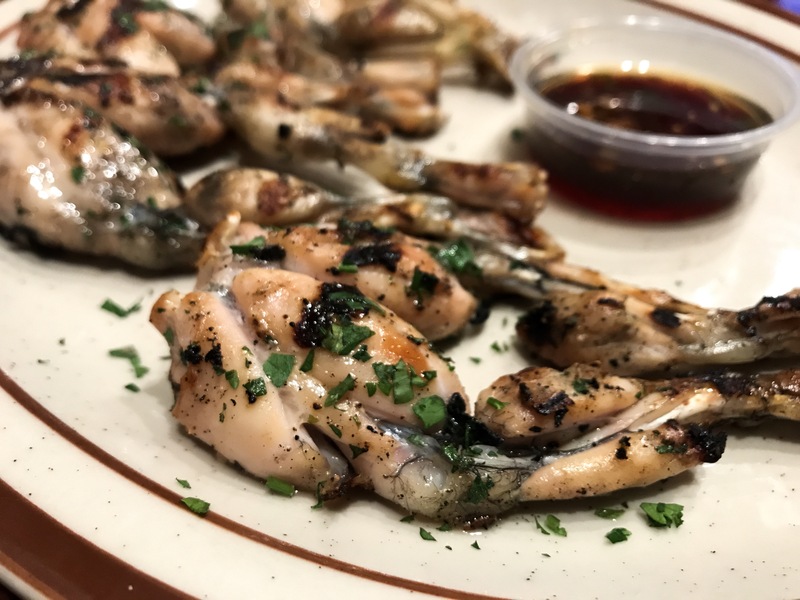 You'll be encouraged to begin your excursion under the sea with the Blue Point and Chesapeake Oysters, served in quantities of six or twelve then get adventurous with the charred frog legs. They really do taste like chicken! The tender meat falls right off the bone and goes perfect with the ginger-soy sauce served with them! If you’re ordering for the whole crew, the seafood boil is the way to go with everything from mussels and clams to crab legs and crawfish. The boil is served with corn on the cob so you’ll have plenty to floss out after dinner! The menu also boasts many seafood sandwich classics and entrees if cracking crab legs isn’t a part of your workout. The restaurant does an incredible buttery spin on a “Rockefeller” dish with their Scallops Rockefeller. This dish will by far go down the quickest with its perfect doneness and savory flavors melting in your mouth. The grand daddy of the whole menu however is the Dungeness Crab. Served whole and over a sea of garlic butter for dipping, the beautiful specimen is the most Instagram-worthy and delicious of all the plates at King Crab House. Bring your cracking muscles and maybe a bib or two and dig into this flavorful and meaty crustacean. To finish off your nautical meal, order the Brandy Chocolate Cake and sip on Cy’s Mai Tai to give you that extra sugary buzz for the ride home! 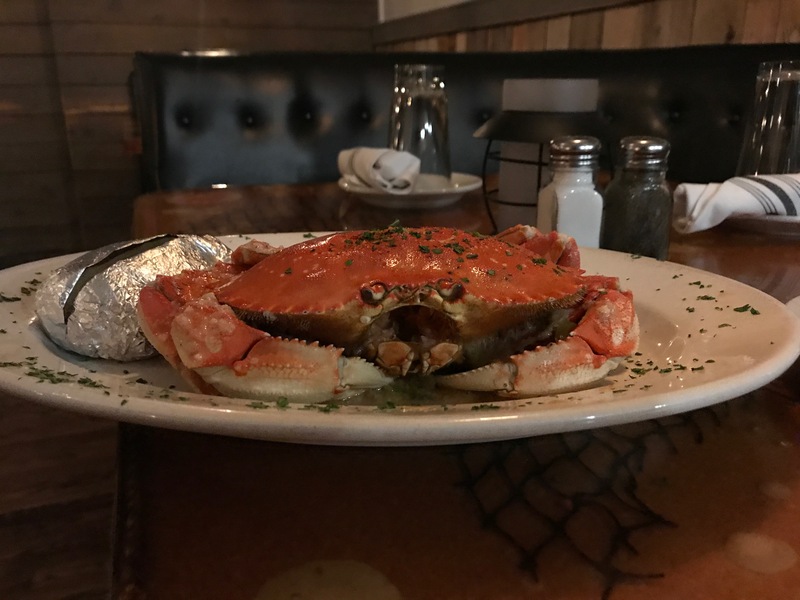 King Crab House also offers daily specials Monday through Thursday that include a variety of crab legs or shrimp, as well as delicious bar specials like East Coast oysters for 65 cents a piece or the saucy buffalo wings at just 35 cents a wing. Whatever the occasion, King Crab House offers something for everyone to enjoy, even your non-seafood loving friends!